You’ve read influencer marketing tips and how-to guides from experts. But there’s only so much you can learn from instructions alone. The best way to truly understand anything is from real-life examples. From successful influencer marketing case studies, you can learn a lot about what to do, and how to do it effectively. Check out ten of the best influencer marketing campaigns with amazing results below. RESCUE wanted to promote their range of natural remedies, with a focus on driving awareness about the products, and driving product trials. To do so, they promoted a, “buy one, get one free,” coupon with the help of the CLEVER Influencer Marketing Agency. 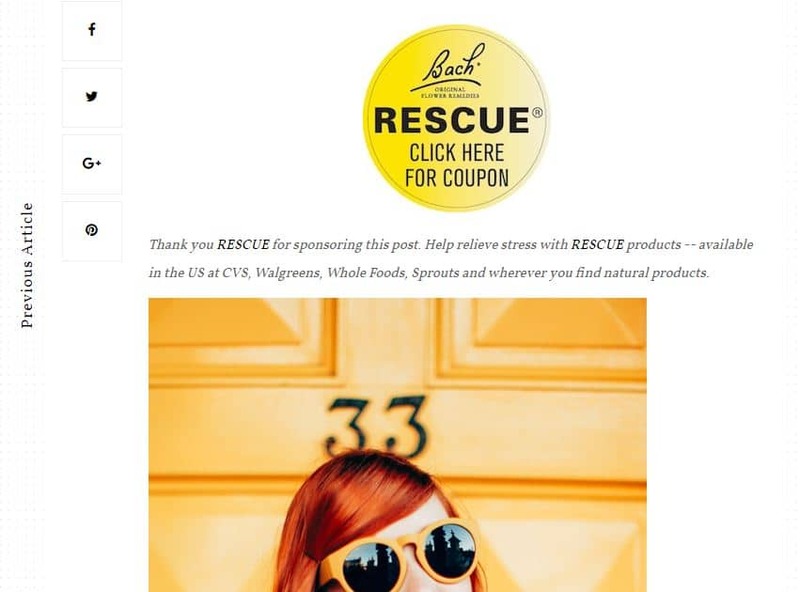 For the campaign, influential bloggers shared their personal stories about how to relieve stress and included the RESCUE coupon in their posts. Blogs like A Clothes Horse and A Girl Named PJ created sponsored posts in which they shared their honest experiences using the RESCUE natural stress relief products. They also provided their readers with a little bit of information about the products, and promoted the, “buy one, get one free,” coupon. The campaign yielded impressive results, including 133 million social media impressions, and more than 6,000 clicks to the coupon site. The brand saw a 258% increase in their Instagram following, and also managed to be the #4 nationally trending topic on Twitter during the campaign. Bigelow Tea wanted to promote their products and encourage healthy living. They launched a marketing campaign with influencers, who were able to showcase the emotional appeal, and healthy aspects of drinking tea. For the campaign, influencers incorporated Bigelow tea into their content in different ways. Some created original recipes using it, and others turned the packaging into DIY art. Blogger Ashley Thurman, of Cherished Bliss, provided her readers with a recipe to make iced tea with Bigelow tea and lemonade ice cubes. Jess, of A Million Moments, on the other hand, provided her readers with a guide to creating beautiful flower pots from the tea packaging. The bloggers managed to generate more than 32,000 blog page engagements for their sponsored posts. With the help of their influencer marketing campaign, the total media value for Bigelow Tea increased more than threefold, and the brand experienced an 18.5% increase in sales. What worked really well for the brand is how the influencers seamlessly integrated the products into their usual content. The direct-to-consumer mattress company, Leesa, wanted to win the trust of their target audience through unbiased reviews. Since they only sell online, online reviews were the best way for the company to prove that their products are worth the investment. To engage their target audience effectively, the brand partnered with micro-influencers. The goal was to reach people who were interested in buying a new mattress, and women who were searching for interior design and DIY tips online. They worked with influencers who could generate high levels of engagement. To find the right influencers for their campaign, the brand focused on follower engagement rates rather than number of followers. The company provided influencers with creative freedom. Since they wanted reviews that were unbiased and authentic, Leesa.com only gave the influencers a few talking points, and then handed them the reins. 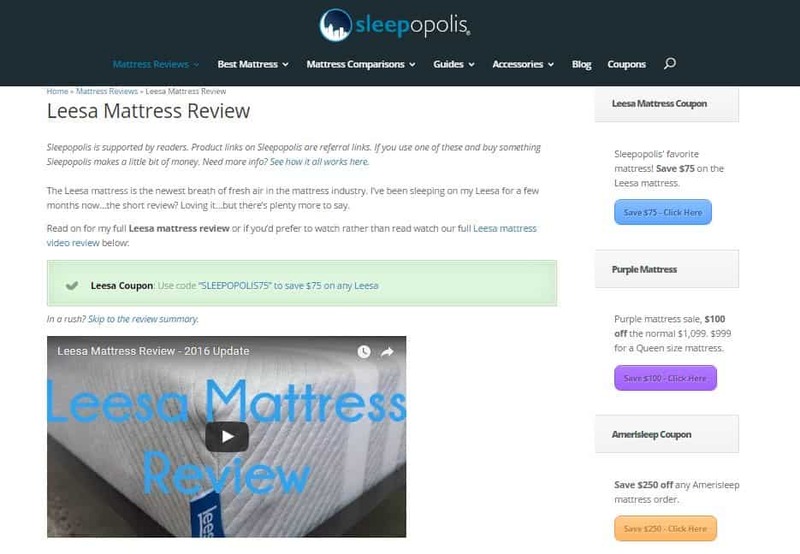 Blogs like Sleepopolis reviewed the mattresses from Leesa and provided their readers with their unbiased insights into the brand’s service and product quality. In addition to an in-depth review, the bloggers also provided their readers with a coupon code to help them save money on their purchase. 6 Tips To Crush Your Influencer Outreach Campaign! Through this campaign alone, Leesa was able to drive more than 400 mattress sales, and 100,000 clicks to the brand’s website. What worked so well in this campaign was that the brand connected with influencers who were not only relevant, but also highly engaging, and considered trustworthy by their followers. Men’s clothing brand, Bonobos, wanted to promote their Summer 2016 Collection through social media, and digital marketing campaigns. They launched the #BetterThanAC campaign to promote the idea that the new Bonobos collection was designed to keep men cool. To leverage this campaign, they worked with Foster Huntington, an influential videographer, and photographer. The influencer created several posts showcasing Bonobos clothing in the midst of outdoor summer moments. Despite being sponsored, the images didn’t seem overly promotional because they blended seamlessly with the influencer’s usual content. The campaign yielded 5.1 million impressions, and more than 68,200 engagements in the form of likes, shares, and comments. With the help of this influencer’s content, Bonobos was able to increase their average engagement rate threefold. Enabling the influencer to create sponsored content that blended well with his usual images and tone made the campaign seem natural, and more believable. SmarTrike is a company that manufactures ride-on-vehicles for babies, toddlers, and preschoolers. They wanted to promote their range of custom children’s tricycles with the help of influencers. Their goal was to reach young mothers between 25-40 years old, ideally with kids between 8-18 months old. They also wanted to reach parents from a specific ethnic group. The brand decided to work with three influential parents that meet this criteria, including TV personality Giuliana Rancic. Despite her child not belonging to the 8-18 month target age, Giuliana still managed to drive plenty of engagement for the brand, as her audience is mainly comprised of young parents. She posted the following image on Instagram, with a caption that described the product as a gift for her friend. She also expressed her wish that her son had had a SmarTrike when he was a baby. 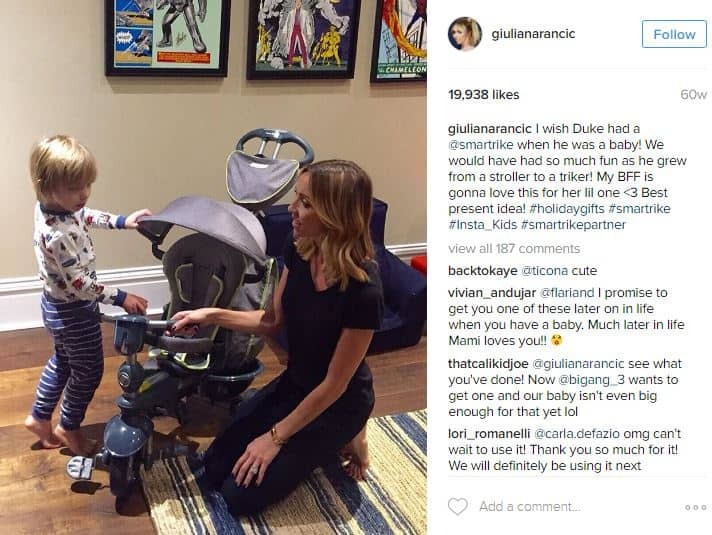 Giuliana’s post alone generated close to 20,000 likes, and hundreds of comments. Overall, the three influencers managed to generate 76,000 likes, 486 comments, and 381 shares. Through this campaign, SmarTrike was able to reach more than 12 million people across different social media channels. The brand carefully targeted three influencers who were highly relevant to their target audience, which helped them to successfully pull off the campaign. Why is Influencer Marketing Better than Celebrity Endorsements? Gloria Ferrer wanted to raise awareness about their range of sparkling wines, and increase product trials. In order to accomplish these goals, the brand turned to the CLEVER Influencer Marketing Agency. CLEVER helped them launch an influencer marketing campaign combined with a #GloriousBites appetizer contest to generate buzz. The influencers included recipe generators and lifestyle bloggers, who shared their personal stories about entertaining with the range of sparkling wines from Gloria Ferrer. 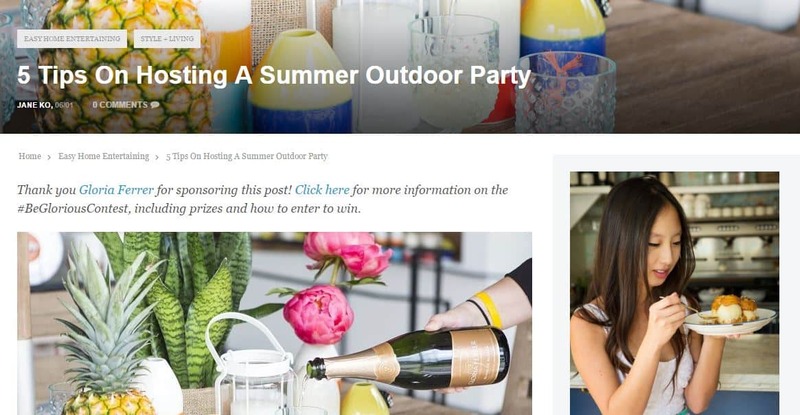 Bloggers like Jane Ko, of A Taste of Koko, incorporated the wines into their sponsored content. Jane provided her readers with tips for hosting a summer outdoor party. One of the tips was, “Don’t forget the bubbles,” in which she included a few lines to promote the brand’s sparkling wines. She also encouraged her readers to enter Gloria Ferrer’s photo contest to win prizes. With the help of this influencer marketing campaign, Gloria Ferrer managed to generate more than 44 million social media impressions. The influencers also helped build buzz for the #GloriousBites photo contest, and drove 2,300 clicks to the contest link. Since the products were positioned to match the usual content of the influencers, the campaign helped generate positive results. Pedigree wanted to humanize their brand by standing up for a cause. This was an excellent move considering 90% of consumers have expressed their willingness to switch to a brand that is associated with a positive cause, according to a Cone Communications study. The brand began their, “Buy a Bag, Give a Bowl,” campaign to support a national effort, and amplified it with the help of influencers. The influencers promoted the campaign through their social media content, blog posts, and video content. 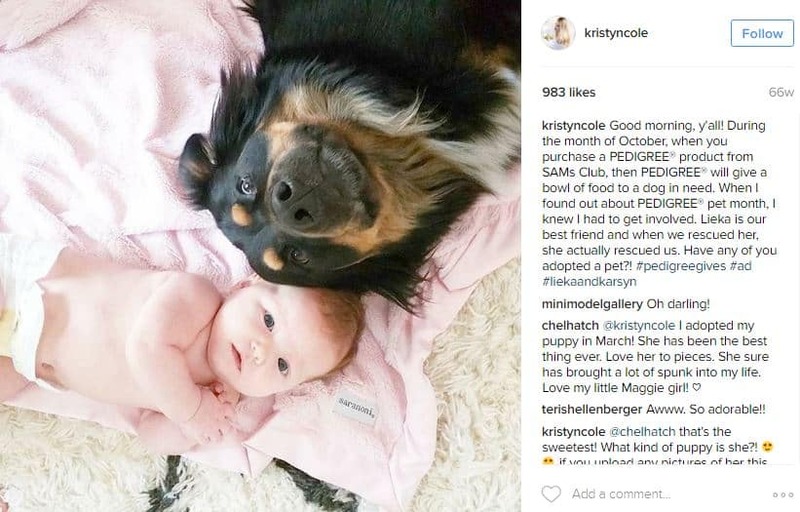 Influencers like Kristyn Cole helped promote the campaign on Instagram by sharing touching stories about their pets to appeal to their followers’ emotions. They encouraged their followers to buy a bag of Pedigree from Sam’s Club because the brand would give a bowl of food to a dog in need for every bag purchased from the store. The campaign helped Pedigree increase their total media value 1.3 times, and generate more than 43 million impressions, and 62,800+ content views. The campaign also drove 9,300 blog page engagements and helped Pedigree win the love of their target audience. Appealing to the emotions and the responsible nature of consumers helped the brand successfully accomplish the goals of their campaign. Mencap wanted to raise awareness about their cause and spread the message that people with learning disabilities deserve to be seen, heard, and included. 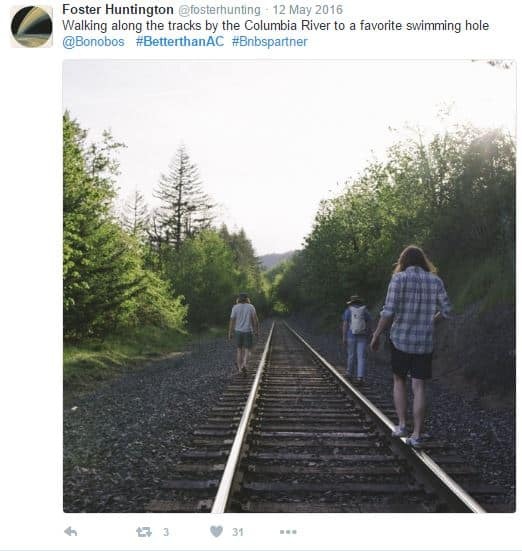 To do so, they partnered with social media influencers to promote their #HereIAm campaign. 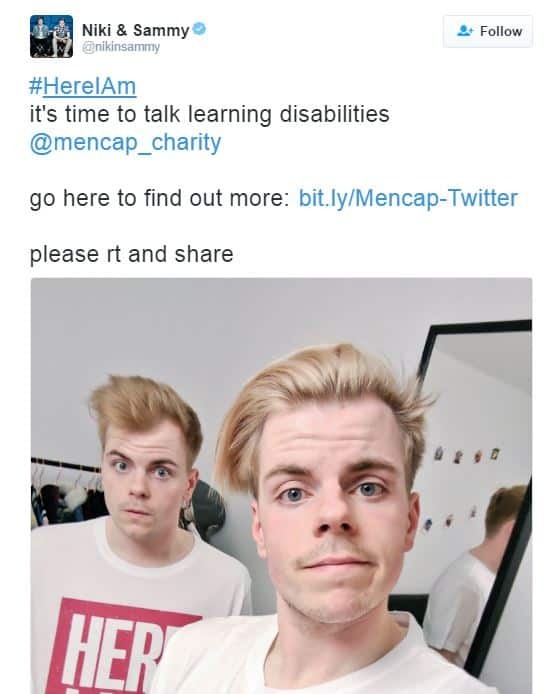 Influencers, like entertainer twins Niki and Sammy, tweeted images of themselves wearing t-shirts with, “Here I Am,” printed on them. They included a Mencap link and encouraged their followers to click on it to find out more information about learning disabilities. They also asked people to share their content to further promote the cause. With the help of 43 pieces of influencer-generated content, Mencap managed to reach more than 10 million social media users. Their video content received 780,000 views. The influencers generated a combined engagement of 21,000 likes, shares, and comments. The influencer marketing campaign became a stepping stone for Mencap to boost their social media reach. The influencer was invited to the event, which took place in L.A. She then enticed her social media fans with images from the event, through which she shared her experience. 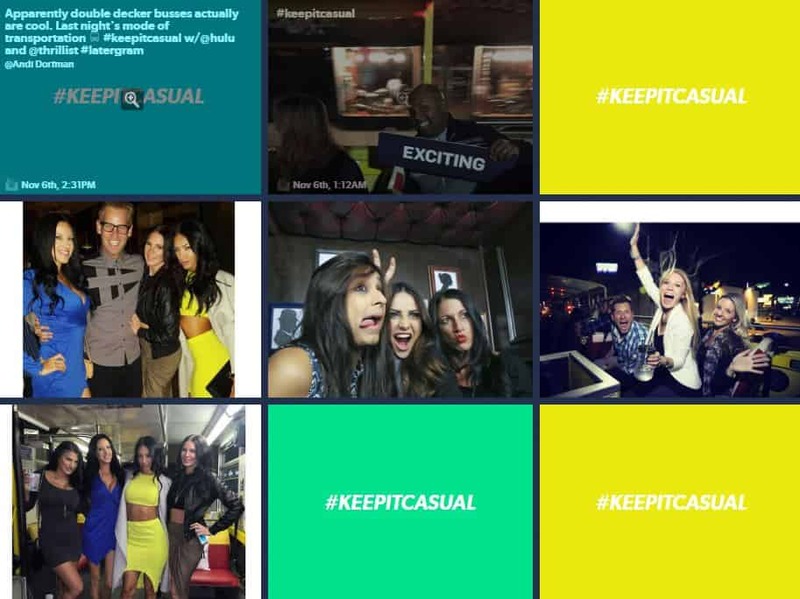 Her posts included hashtags like #keepitcasual and #casualonhulu to promote the new show and the event simultaneously. These images and other images from the event were then added to a landing page on Thrillist. Through just one influencer, Hulu was able to reach more than 1.3 million people. The influencer’s content generated high levels of engagement, with over 13,000 likes, 81 comments, and 96 shares. Andi’s appearance at the event helped build hype for the new TV show, enabling Hulu to achieve their goal. This is an example of how inviting influencers to your product launch event or other promotional events can amplify your marketing efforts. Bob’s Red Mill produces unprocessed, non-GMO food products like whole grain flour, oats, and cereal. The brand wanted to raise awareness about their products, and promote their usage, especially during the holidays. 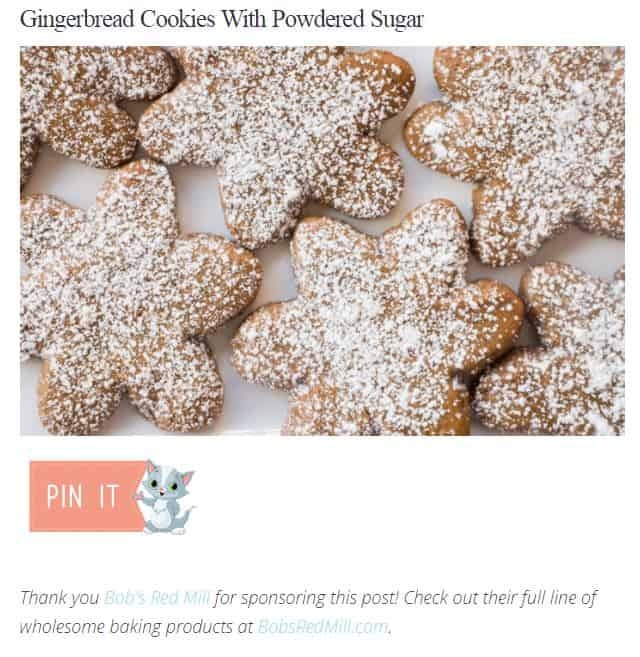 With the help of the CLEVER Influencer Marketing Agency, they launched a campaign with influencers who are known for their baking and cooking skills, and their love of healthy, organic ingredients. Bloggers like Pamela, of Brooklyn Farm Girl, and Jenna, of Eat Drink Pretty, created recipes using ingredients from Bob’s Red Mill. They helped showcase the quality, and versatility of the ingredients, and encouraged readers to check out the brand for themselves. The brand also hosted a virtual holiday-themed party on Twitter to spark a conversation about their products. Bob’s Red Mill managed to generate more than 50 million impressions on social media as a result of the campaign. 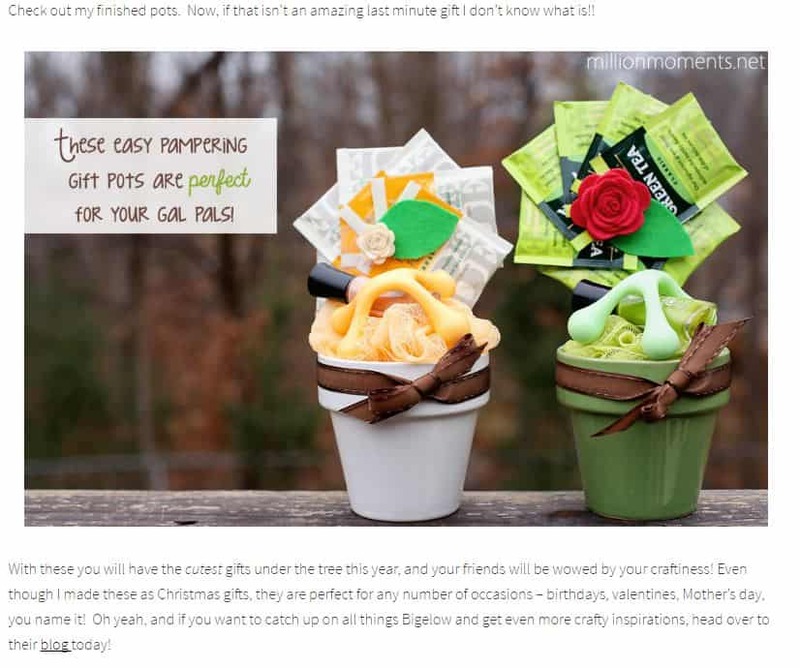 Additionally, the influencers helped drive 2,200+ clicks to the brand’s coupon and website. By showcasing the products being used, the influencers inspired their followers to buy, and use the products as well. The case studies above showcase brands that were able to generate exceptional results from their influencer marketing campaigns. You may have noticed a few common trends that contributed to the success of these campaigns. First of all, many of the brands worked with relevant influencers with high engagement rates, rather than focusing on their reach. The brands also provided the influencers with creative freedom, so that the sponsored content blended in seamlessly with their usual content. This made the campaigns more authentic, and trustworthy. Which of these campaigns was your favorite? Let me know in the comments below. And if you have any problems planning, or launching your influencer marketingcampaign, get in touch. I’d be happy to help you find the perfect solution.